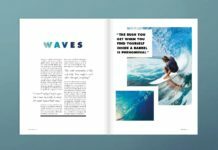 Preflight Guide - What is Preflight in InDesign? 1. 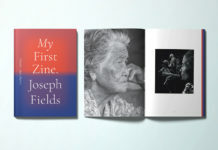 Why do I need to proof my InDesign work? It’s amazing how many errors can become glaringly obvious on a printed document, compared to just glancing over it when it’s up on screen. But sadly there’s no ‘Undo’ button when your printed items get delivered. 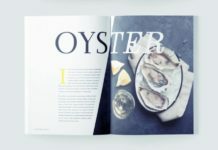 Proofing your InDesign work before you send it to print is an essential step in minimizing the number of errors, both in terms of content and on a technical level. 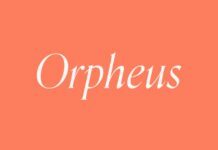 Before you even look into performing a Preflight, which we’ll take a more in-depth look at here, you should check for spelling errors by conducting a spell check. You can also get some more stats about the text content in your document by seeing what you can find out from the Info panel. OK, so what is Preflight? 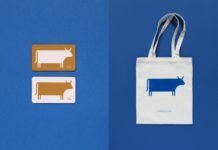 It sounds like something you might have to do before an aircraft takes off, and it is really the same idea, but instead for preparing a design document to ‘take off’ from the screen to go to the printing press. 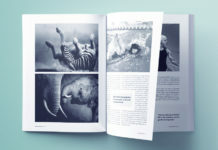 Before you can export your InDesign document to a print-ready format, you need to make sure that everything is going to print in the way that you want it to. 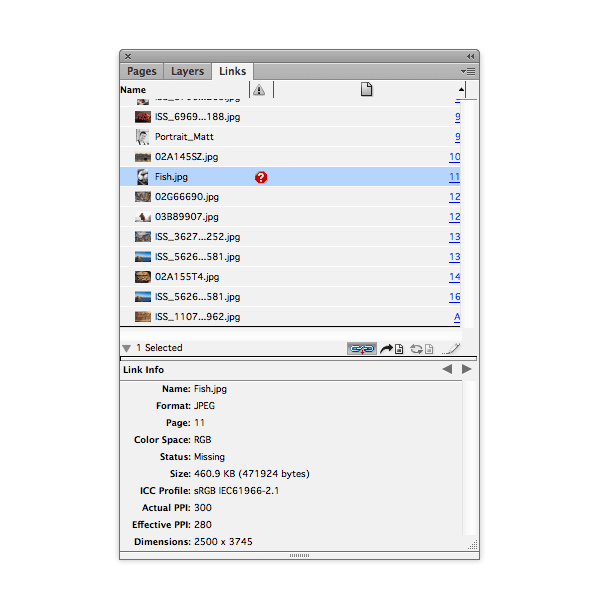 The Preflight panel is going to flag up any technical issues that might cause a problem when you want to package your InDesign file, export it, or send it to a printer. 2. How do I perform a ‘Preflight’? 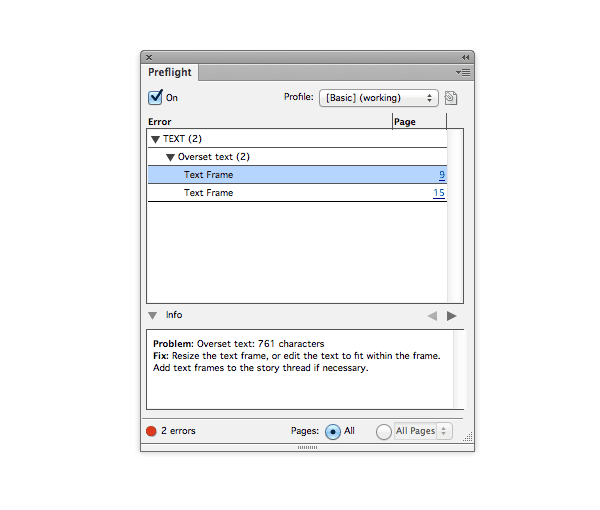 Preflight is an essential part of the InDesign proof process, and is especially important for addressing technical errors, like missing images, missing fonts or overset text. 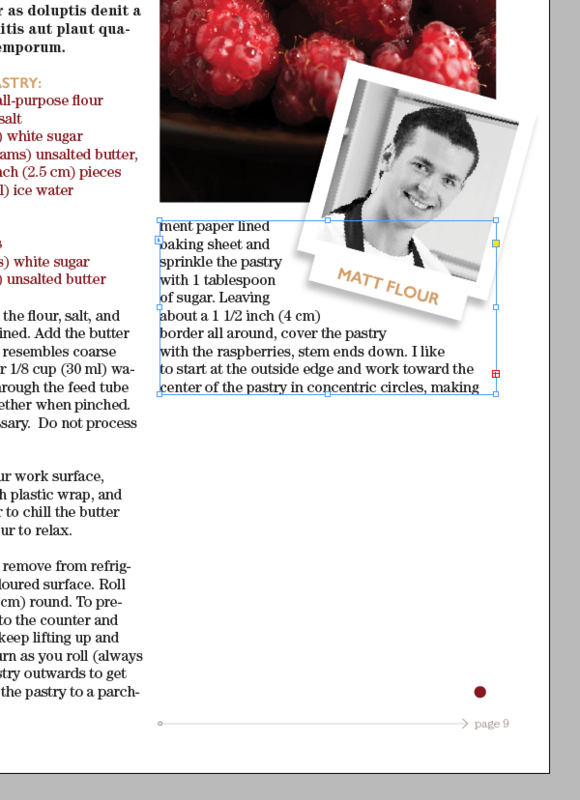 …Here we have an open InDesign document. And at first glance, all looks fine. But then, if I take a look down at the bottom left of the screen, I notice a little red circle, next to some text reading ‘3 errors’. As long as there is a red circle here, this means that there are errors in the document that need to be addressed before I send the document to print. If I double-click on the red circle, I will open up the Preflight panel. 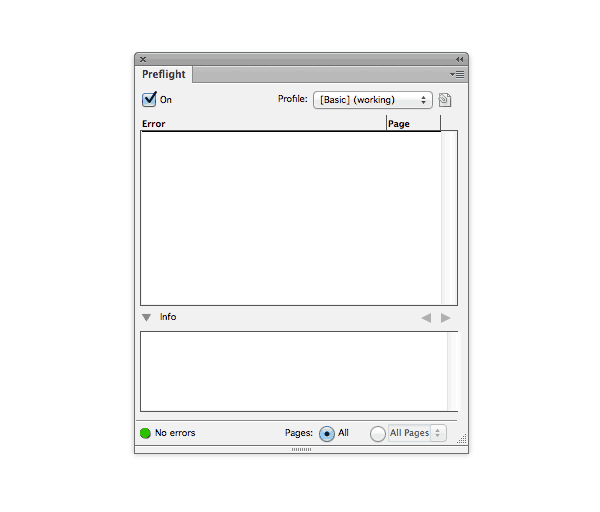 You can also access the Preflight panel from the top menu, under Window > Output > Preflight. First up, at the top left of the panel you can see a check box for turning Preflight On and Off. As a rule, you should always have Preflight set to On. This means that InDesign will actively flag up technical errors as you work, and update them to ‘No errors’ as you resolve them. In the main part of the panel is the Error window. 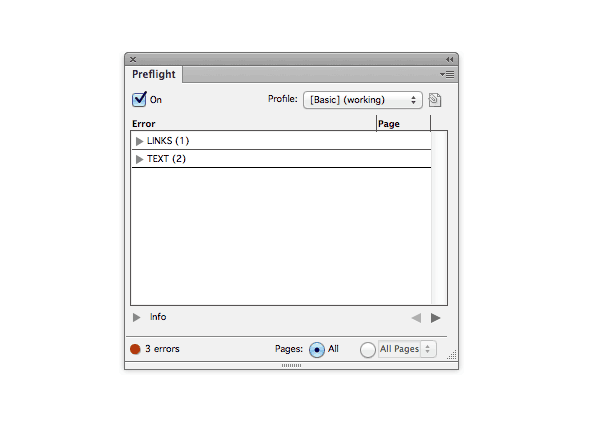 In this window, Preflight lists the errors it’s found, and categorises them into different groups. At the top here, there’s one Links error, for example. If I click on the grey arrow to the left of the text, the error message expands, to reveal it’s a missing link. Clicking the grey arrow again the name of the missing link is revealed. 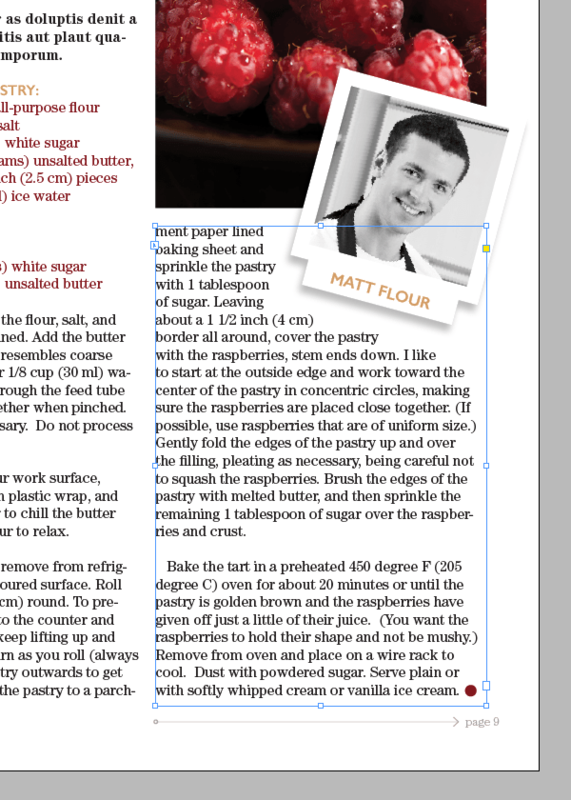 If you double-click the name of the link, InDesign will take you directly to it in your document. Handy! Click to select the name of the link in the Preflight panel, then expand the Info window at the bottom of the panel. 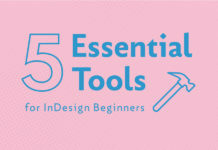 InDesign is trying to help you out here, so it tells you what the specific problem is, and how you can resolve it. It’s telling me to head over to the Links panel and use the Relink button to find the missing file. 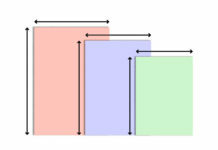 With the missing link highlighted – it will be flagged up with a red question mark if missing – I click on the Relink button, symbolised by a chain link, at the bottom of the top section of the Links panel. From here, I can track down the missing link, and click Open to relink it. 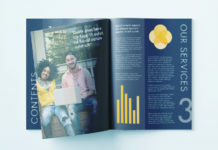 Find out more about working with images in InDesign here. That’s the missing link resolved, and I can see in the Preflight panel that the missing link error has vanished, and I’m left now with just two errors to deal with. These remaining errors are something to do with Text, and I can find out more by again clicking the grey arrows to reveal the specific error, and then the specific location of the text error. 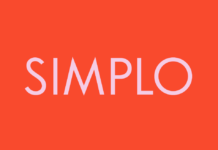 What we’ve got here is two instances of overset text, where text is overspilling a text frame. 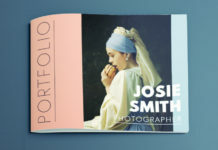 If I double-click on the ‘Text Frame’ name, I’m taken directly to the text frame with the overset text. I then take my cursor and drag the frame down to extend it, until the text error disappears from the Preflight panel. After resolving all the errors flagged up in the Preflight panel, the Preflight circle turns green and a message comes up at the bottom of the panel reading ‘No errors’. 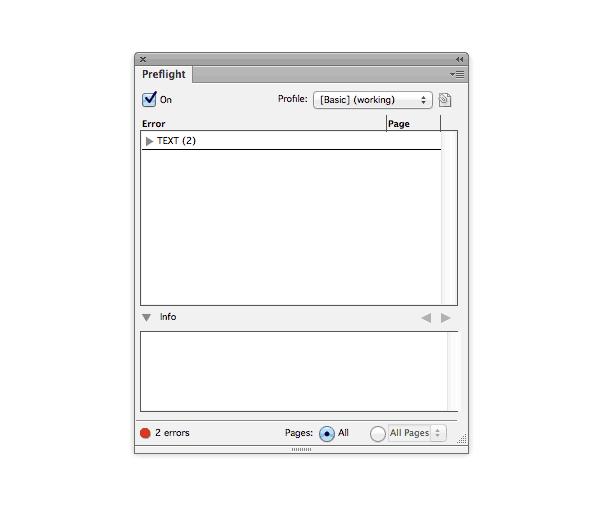 That’s when you know your Preflight is complete, and you’re ready to prepare your document to send to print. 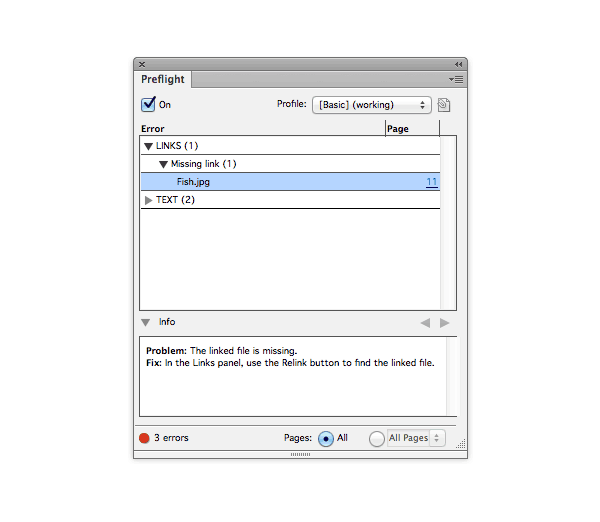 The Preflight panel is a simple, one-stop solution for addressing technical errors in your InDesign layouts. 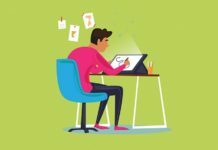 Taking just 5 minutes to run a Preflight before you prepare your document for sending to a colleague or sending to print will make a huge difference to the final quality of your work. And you won’t be biting your nails when that print delivery box arrives! 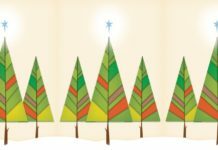 Click to find out more about conducting a spell check of your InDesign work and how to add a bleed to your print designs. Looking for more tutorials and tips? 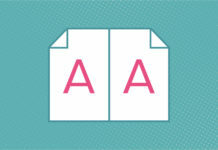 Head on over to our InDesign tutorials page.